Creating an outstanding mobile banking app isn’t easy. In this post we’ll explore the challenges and offer some advice on creating unique, user-focused mobile banking apps. We interact with mobile banking apps every day to handle and access up-to-the minute updates on our finances. In fact, according to this KPMG Mobile Banking study, by 2015, mobile had become the largest banking channel for the majority of banks by volume of transactions. Despite this staggering stat, too often, banks organize their app functionality based on the tech resources on hand, rather than by how users themselves require the apps to work. Let’s take a look at some of the challenges that banks face in mobile app design and how user-centered design and prototyping can offer a helping hand to combat them. How often have you needed to pay for something with your debit card, wanted to check your balance or transaction history on the go, or even needed to perform a quick transfer to pay the electric bill? Mobile banking is your answer! Well, it could be. Unfortunately, many of today’s mobile banking apps just don’t live up to our expectations. There are several things that we as users expect from a mobile app – any mobile app – yet have been left sorely disappointed. According to Penny Crosman’s American Banker article, our pet peeves when it comes to mobile banking include slow download times, system crashes and system glitches and failures due to the growing number of mobile devices. And then there’s the lack of exclusivity. We’re seeing the same banking apps over and over again, simply reskinned by each company. In Michael Grothaus’ February 2016 review of UK mobile banking apps, he detects that British financial services TSB, Lloyds and Halifax’s mobile banking apps are essentially one and the same. Yes, in terms of rudimentary UI design they’re miles apart – the colors are totally different – but apart from that, they’re identical (see below)! Same layout, same slow, buggy functionality, according to Michael. Another common problem that we’re seeing with mobile banking apps out there is that they are not mobile device user-friendly. Of course, it’s great when we can access features and services on our mobile devices in the same way as we do on our desktop. But when a whole website is simply poured into a mobile app without realignment or proper design thinking about the type of device the content is being slotted into, the function of the app is compromised, and important product-user feedback can be lost in the interim. With so many devices available, it is essential that the appearance, as well as functionality, of web content is adapted to the relevant browser environment. (See more on responsive and adaptive mobile design here). According to a study by the Federal Reserve on mobile banking users in April 2015 in Sandeep Sood’s article, millions of consumers were to start banking on mobile within a year. But millions of other potential customers just weren’t convinced. As users, we demand services and products that are unique to our needs and that speak our language. Banks need to start making apps that reflect these demands. But how? As Sandeep puts it: “There’s no reason financial applications have to remain the ugly ducklings of the app marketplace.” Let’s get design smart and turn things around. Read on for our two cents on improving mobile banking app design. We mentioned the importance of creating a mobile banking app with the appropriate layout and features, instead of replicating the visual design or functionality of its online/internet banking desktop counterpart. But does that mean that the mobile app should serve the user less? Not at all! As Kat Matfield points out in her Adaptive Lab article ‘4 ways banks could (and should) improve their apps’: “People are doing more of their banking on smartphones, and getting increasingly frustrated at the limited feature set available on apps.” So, let’s talk about the importance of feature parity. The beauty of mobile banking is that it can be used anywhere that you take your mobile device, as if you were sitting at home behind the computer screen. But according to Kat’s article, users feel that some real important features are missing from mobile banking apps that they are used to seeing on their desktop service. These include, but are not limited to, seeing pending payments, managing direct debits and adding new payees. It turns out that these types of features are already available courtesy of the premium players in mobile banking. 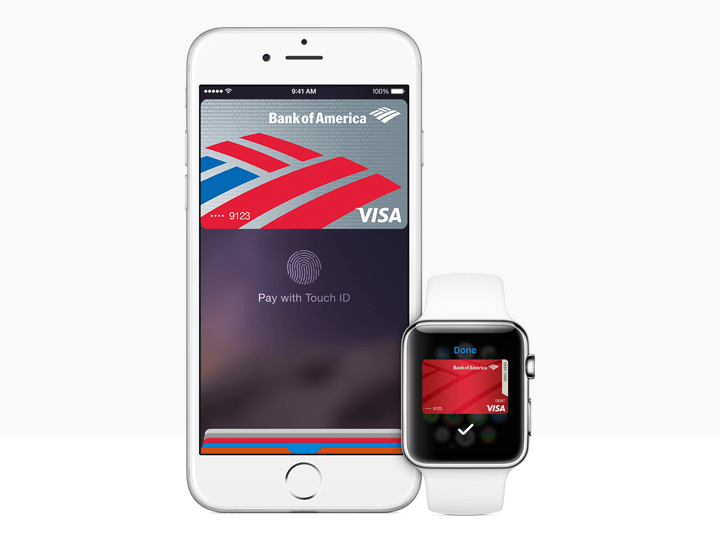 Bank of America demonstrates exceptional feature parity across its banking channels, allowing you to check past any pending transactions on your mobile device, send money to virtually anyone via email address or text and even access your mobile banking service from the Apple Watch. But it looks like some of us have a lot of catching up to do! A great way to focus on feature parity is to create an adaptive mobile banking app, that essentially maintains the same features and functionality of a desktop app, but with a fluid layout that accommodates the layout of the relevant device screen. Prototyping this type of app can help you to figure out what works and what doesn’t early on in the design process. Important: bear in mind that although adapting a desktop service for mobile can be helpful, it’s not always the answer. (See here for more information on our best practices for mobile user experience). 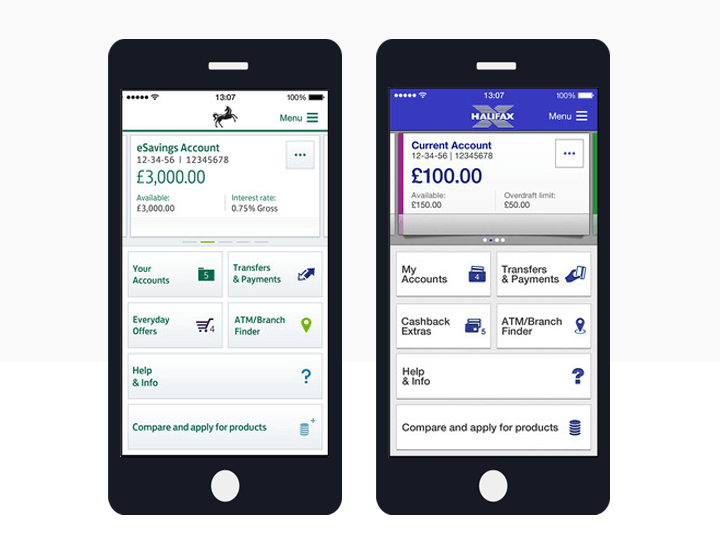 Prototyping your mobile banking app is a crucial phase in the design process. It can help eliminate design and functionality ambiguities and help bridge the gap between the product and the user before having to write even a lick of code or waste away precious resources. When it comes to our online and mobile banking activities, we want to get in and get out without any monkeying around. That’s why having the right type of interaction is key. There are plenty of rich interactions and mobile gestures in the world of web design to choose from to make your mobile banking app as quick and easy to use as possible. With a prototyping tool, use gestures and transitions such as swipes, pinch and rotate movements to design an app that allows users to access their information efficiently and with ease whilst on the move. Also, customizable UI elements will enable you to create pixel-perfect designs that look like the real thing, even early on. The best part is that you can view and test your mobile app prototype on the actual device to see how the real app would actually work before even thinking about developing the final product. Important: don’t forget that your mobile banking app should be as secure. After all, your users will be using it for the the most sensitive of information. According to Jared M. Spool: “Authentication is a necessary evil in today’s world of trust, privacy, and security.” With a prototyping tool like Justinmind, you can use data simulation to import real data, configure dynamic data lists and data grids, introduce variables, replicate data conditions and reproduce forms to simulate authentication in your app. Additionally, use conditional navigation to simulate log in forms that require the user to full in their details completely to connect to your app. We’ve given you a few tips to upgrade your mobile app banking game. But the real trick is to ask your users what they want. Creating a mobile banking app that users won’t instantly want to uninstall can be tricky, we get that. But knowing how people will use and interact with your product or service will help you to understand your target audience, and lead to a more successful product. Justinmind is a comprehensive design tool that helps you build web and mobile app solutions. Our events, adaptive design and user scenarios will help you to make the most of your banking apps. Download us today and take a look at our full list of features. Oh and check out our brand new homepage!